Just thought I’d share a pic I took few weeks ago since I was looking back through my photos archived in the phone. This photo was taken within 10 minutes of walking into the souvenir shop at the Botanic Garden. I didn’t expect to find anything there really because such shops are usually chockful of overpriced items that you can get much cheaper elsewhere. 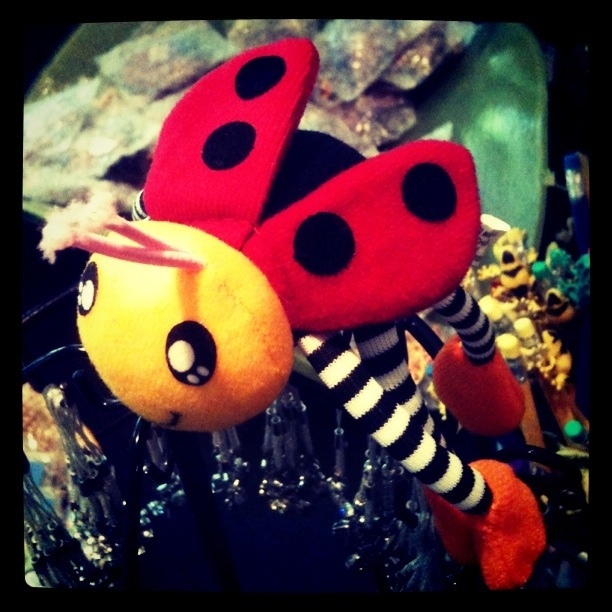 Then I saw this little love bug staring cheekily into space and it reminded me of someone. If you were there looking at me that day, you’d see me trying to hard not to smile to myself in public. I immediately took out my phone so I could take a snap of the happy love bug, hoping to send it to her. Just a little symbol who would mean so much to two people.